Tentamus Group GmbH, based in Berlin, develops TentaScan, the cloud service for automated labelling checks and food safety. The online food delivery service is a rapidly growing sector that will confront food retailers with new challenges in the future. When a food or beverage product comes onto market, it is important that its labelling complies with the relevant legal requirements in order to inform the consumer as detailed as possible. There are major deficits, uncertainties and risky sources of error on the part of both manufacturers and online traders. Currently there is no uniform process in online trade, the products are registered very differently and mostly incorrectly. The solution is to provide marketers with a central web and mobile service that makes all important information about a product available. How can TentaScan help? This service is based on the idea that each product only needs to be adjusted and checked once. 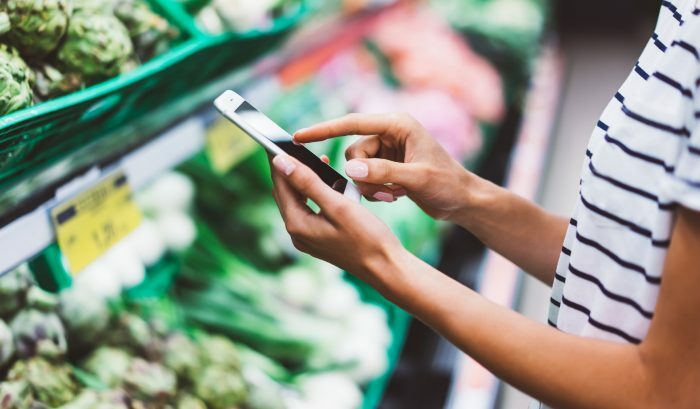 Thus, distributers are able ensure that their products are placed online safely and correctly in accordance with the applicable regulations of the food labelling legislation. TentaScan is a semi-automated assessment of the food product information, achieved by using text recognition on photos of the product label and thus evaluating the scanned text by standards. These standards have been developed by our team, which deals specifically with online trading issues. Afterwards a Tentamus labelling expert checks the correctness and the product data can be uploaded on the online platform. After successful testing, the product information is loaded into the database and made available to food retailers. With TentaScan you get a simple, fast and secure solution for a successful online shop. Are you ready to start digitalization?